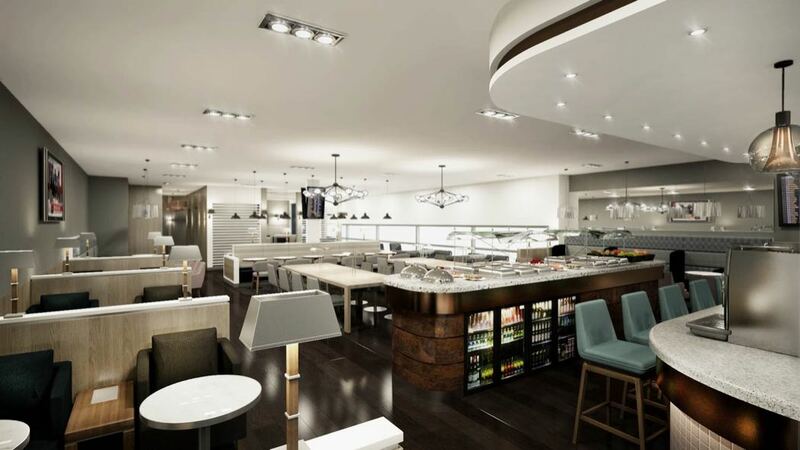 The new Club Aspire in Heathrow Airport Terminal 3 has now opened near gate 9. It will be open from 5am to 10.30pm daily, with a spa (that you need to pay for) open from 9am to 5pm and you can see pictures of what the lounge looks like above and below. 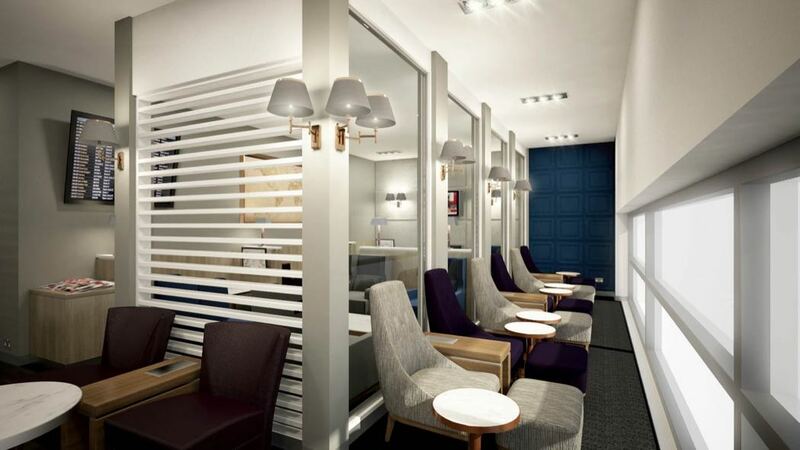 Located near Gate 9, the new lounge will open as a number of new airlines start serving Terminal 3 (including Delta Air Lines, Philippine Airlines and Garuda Indonesia). The lounge will be available to premium airline passengers of participating airlines as part of their premium tickets, cardholders of Collinson’s lounge membership programs Priority Pass, LoungeKey and Lounge Club, as well as to day pass customers purchasing access directly via Swissport’s lounge booking website: www.executivelounges.com and through key partners. ‘Club Aspire’ builds on the success of ‘Aspire, the Lounge and Spa at LHR T5’ and from the CGI pictures below it looks great. Club Aspire will accommodate more than 120 passengers, who can all enjoy complimentary Prosecco as an introductory offer for the first three months, to celebrate the launch. 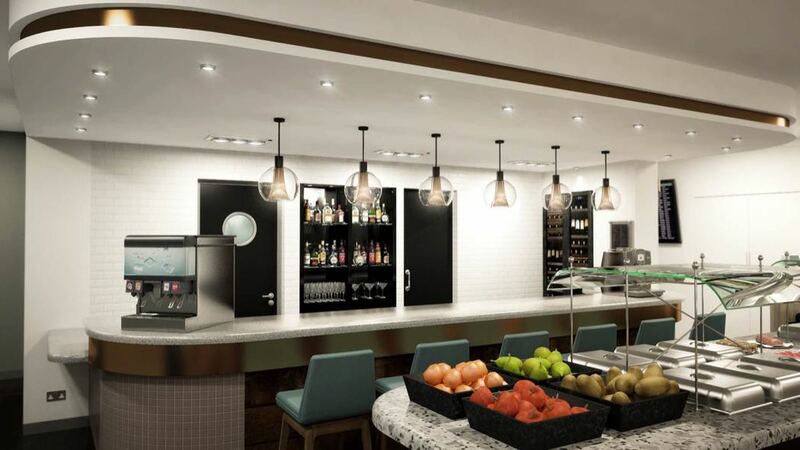 Club Aspire’s best-of-British food menu will include complimentary, freshly-prepared breakfast rolls, a salad bar, deli counter, and children’s options. A premium menu with full meals will also be available for a small charge. Drink options will include complimentary premium brand alcoholic and non-alcoholic drinks, along with speciality teas and coffees. At launch, the lounge will be available to Priority Pass, LoungeKey and Lounge Club members who will have access to the lounge as part of their membership. Travelers without membership can book in advance, to enjoy three hours in Club Aspire for an introductory price of £24.99, using partner websites: www.executivelounges.com & www.loungepass.com. If you enjoyed this review you may be interested in my other airline reviews and airport lounge reviews, pictures of Heathrow terminal 6 and my experiences in British Airways First and Business Class on the B777, the A380 and the B747 Jumbo.